Brazos Valley PPA is thrilled to host one of the most sought after educators on lighting... Tony Corbell!! Tony has shared his lighting expertise with thousands of photographers in numerous countries all over the world. Do not miss this opportunity to learn from one of the masters of professional photography lighting. Join us on Monday, April 1, 2019 for this incredible program!! Seating is limited! Register now by clicking on the link below!! Understanding and controlling light quality is at the core of all of Tony’s presentations. Attendees will learn how to see a unique perspective and not be afraid to push the limits of their experience and talents. Corbell will discuss all types of lighting and its tools in depth but will concentrate on studio lighting. Lighting applications include additive, subtractive, reflective and transmission. Each combination of tool and application will be shown and discussed in detail. Tony will discuss the importance of control in the digital capture and how a few seconds of extra time spent at time of capture can save hours in post production. Tony always spends time discussing Light Quality as well as Light Quantity and how Light Direction plays a significant role in the resulting mood of an image. Tony has been teaching lighting concepts, theories, and techniques for over twenty-five years and his weeklong workshops on the topic always fill to capacity. In the past couple of years alone, Tony spoke to over 30,000 photographers throughout the world on the topic of light control and his numerous youtube.com videos have topped well over one million views. Strenghtening your skills through continuing education. Cindy holds the degrees of Master of Photography and Photographic Craftsman from the Professional Photographers of America. She has also earned Photographer of the Year awards from both PPA and APP of Illinois. She has received the prestigious Legacy Award from PPA Charities and has earned the National Award from Illinois. Her photographs have earned numerous Kodak Gallery and Fuji Masterpiece awards. Bert has been awarded the Master of Photography, Photographic Craftsman and Honorary Master of Photography from PPA as well as the National Award from his state affiliate. In 2000, he was honored as Portrait Photographer of the Year from the International Photographic Council, a non-profit branch of the United Nations. Bert also received the Legacy Award from PPA Charities and PPA’s International Award. Together, and individually, they have given programs on portraiture to many local, state, national and international associations. They lead yearly international photographic workshops and events. Both are also PPA Approved Jurors. What does it take to survive in the cut-throat world of shoot and burn? It takes a focused business plan and creating a loyal client base. Come join Bert and Cindy as they tell how their sixty year old business, in its third generation, photographs, sell and creates products that their clients not only buy, but display proudly in their homes. 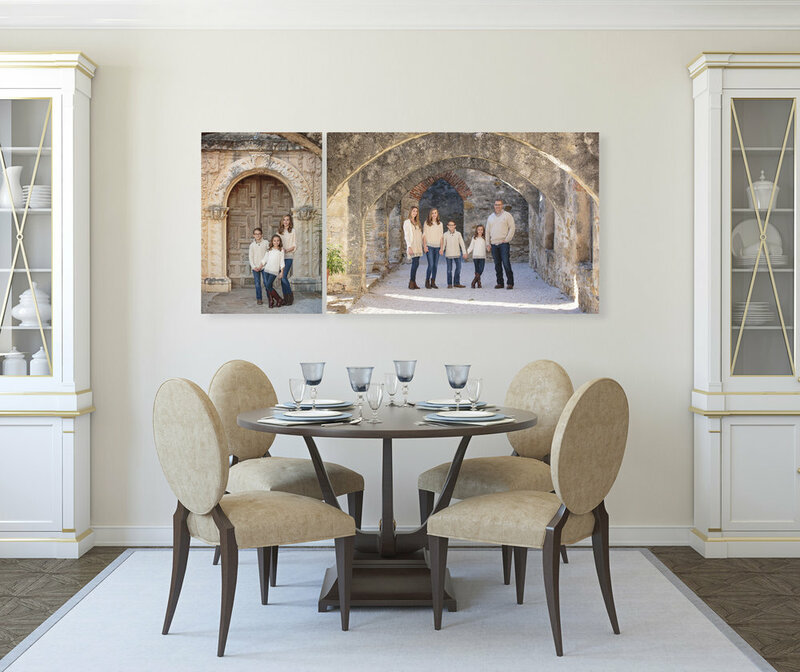 They will take you through the process of creating a need to have wall portraits and albums that tell a family’s story. See how their techniques of couples and group posing create great images and large sales. They will talk about how they shoot and show how they can create images that sell! Kirk has 2 wonderful sons, an absolutely AMAZING girlfriend (she better read this), and like you, gets extremely frustrated with marketing over social media. Since then, he has taken courses from some of the Top Digital Marketers in the US and is pursuing his Master’s in Digital Marketing and now, helping professional photographers and professional wedding vendors with digital marketing tips and techniques. Digital Marketing: From Zero to Hero provides tips, tools and techniques to engage your next audience by crating and generating an initial sales funnel with zero audience using social media. Join us February 4th from 6-9pm for another engaging evening of photographic education. Kathy’s photos have been published in hundreds of places including Family Fun,, Nature's Best, New York Times, Birder's World, and Ranger Rick. AAA Journey, Texas Parks & Wildlife and Texas Highways magazines have used Kathy’s photos on their cover. Her photos have also appeared in a numerous books and calendars including the Barnes & Noble Ireland Countryside Calendar, the cover of the Arbor Foundation Rainforest Calendar, and the Sierra Engagement Calendar. Kathy’s photos of Houston were compiled into a calendar offered in Costco in 2016. Her photos appear every week in the "Nature" column in the Houston Chronicle written by her husband, Gary Clark. Kathy and Gary have worked with national publishing houses to produce ten books that combine their photography and writing skills. Their latest books are Book of Texas Birds published by Texas A&M University Press and Backroads of Texas published by Voyageur Press. Spend a day with nationally published wildlife photographer, Kathy Adams Clark as she teaches how she creates amazing wildlife images. This hands-on class, hosted by the Brazos Valley Professional Photographers Association will be presented at Whiskey Hollow Exotic Wildlife Ranch featuring many animals not normally see in the US. From your seat in a safari truck, Kathy will take you on a journey through the open landscape to find and photograph some of nature’s most beautiful animals. We will meet at 8:00am on Feb. 4, 2019 at the gas station in Cook’s Point located at 7025 TX-21, Caldwell, TX 77836** to caravan to the ranch. Due to the difficulty in finding the ranch and the number of locked gates, attendees MUST be ready to leave the gas station by 8:15am. Everyone is asked to bring their lunch and any drinks they want. The lodge at the ranch has a full service kitchen should you need to refrigerate or heat up anything. Attendees are urged to travel in larger cars or trucks due to the terrain to the lodge. If you only have access to a small car, you will have an opportunity to park and ride with someone in a larger vehicle. Advanced Registration is Required and you can sign up at www.brazosvallyppa.com The full day program cost $109. **the gas station is NOT in Caldwell but about halfway between Bryan and Caldwell. Be Your Own Shark: Would YOU Invest in Your Business? Are you running a business with purpose or are you constantly throwing ideas around to see what sticks? Ashley will take you through the hard hitting questions to determine if you are set up for calculated, measurable success in the new year, and if not, what steps you can take to get there. How will you know if you reached your 2019 goals next December? Let’s start with a plan. Photographer, author, teacher, Ashley Diamond Siegert, Cr. Photog. CPP, will be joining us for a night of hard hitting introspection about how we as artists balance the creative with the spreadsheets and how a bit of planning can change everything. Join us for an afternoon of fun and laughter and find out who our 2018 Photographer of the Year will be! Plus we have our two new categories winners-Photographic Image of the Year and Aspiring Photographic Image of the Year! This is a potluck meal so please feel free to bring a dish that compliments your diet and BBQ. It can be a salad, a vegetable or even a dessert. If you have a special adult beverage that you like, bring it too! We will have iced tea, water and coffee for our non-drinkers. With extractions and composites becoming more mainstream, the word now is "efficiency". Randy will show some of the more important, yet often overlooked, keys to a better looking composite and an easier time extracting. Beginning with the image creation, through extracting and compositing for realism and a few retouching tips, get ready for a fast paced, fun and (hopefully) informational evening! Learn lighting, posing and working with natural light. You’ve got the image, you’ve got the software, but you lack a great editing workflow. Join Certified Professional Photographer Mark Sykes as he shares his expert step-by-step process of transforming RAW images into stunning professional portraits. Whether you are a novice or a daily user of Lightroom, you will learn how to take Lightroom’s powerful editing engine to push your images from good to great. Mark will show you how to create Lightroom presets to make importing and editing your images faster and more consistent. Additionally, Mark will demonstrate the process he developed that will give you the perfect game plan for retouching your images in Photoshop. You’ll learn how to deal with facial blemishes, remove major stray hairs, use frequency separation to eliminate significant acne, as well as how to enhance the eyes so they’ll pop and still look 100% natural. This is a complete editing program from beginning to end. If you are looking for a workflow that will help you get the most out of Lightroom and Photoshop, or you are just looking for a way to professionally retouch your portraits in 3 minutes, then you will not want to miss this program. At the end of this program, you will know how to use each tool in Lightroom, how to establish repeatable presets for both image processing and exporting, and you will have a great Photoshop retouching workflow plan to make your retouching quick, repeatable, and easy. Appropriate for novice to intermediate users of Lightroom and Photoshop. Pen tablet or digital art tablet recommended. Mark Sykes is a Certified Professional Photographer who began his career in 1994. Over the years, Mark has continued to grow and pursue his passion for professional photographing making himself one of the most sought after wedding and children’s photographers in his area. After photographing over a 1000 weddings and nearly 2 decades of newborn and children’s portraits, Mark found a new passion in creating extreme senior portraits. In 1999 he purchased his dream studio on 1.5 acres on the banks of Nantucket Lake in College Station and has invested years into creating a beautiful portrait park. Mark married his wonderful wife Karen in 2014, and is a devoted father to his daughter Emily, his 6 step-children, and 2 fur babies; Hershey and Maggie. His other passions are planes, flying and cooking BBQ. He and wife have developed their own line of BBQ rubs and sauce and after tons of great reviews, are now working on taking it to market. Get ready to make some exciting changes in your business! Stop being a starving artist and learn how to gain confidence in the sales room! During this presentation, I will be covering four major elements within the sales process. Addressing and over coming objections in the sales room. Designer a properly laid out sales room & sales experience. Developing a sales system for your business. Creating a strategic price list to fit into your sales system. Be Brave! Hello Friends! I was born and raised in Northwest Iowa, and started my first career in Bank Marketing and Human Resources. The entrepreneurial bug bit 29 years ago, when I started a Portrait Studio, in Sioux City, Iowa. For ten years I operated a thriving and successful photography business. During my time in Iowa, I earned numerous photography awards and accolades through the Professional Photographers of Iowa as well as the Professional Photographers of America. Humbly I hold the title Master-Craftsman, a degree earned through PPA. I sold my Portrait Studio in Iowa and joined Box Portrait Gallery in Oklahoma where I have been for the past 16 years. My ability to communicate and connect with my clients has made me one of the most sought after photographers in the state. I also began a teaching training career in the photography industry and am considered one of the top educators today. With honor I have taught thousands of photographers and business owners sales and financial success. I host an educational Internet group of over 12,600 professional photographers. You will find me to be highly motivated, organized, creative, down to earth and professional. I am comfortable speaking to a crowd of 2000 or an intimate group of 20. You will find me to be extremely knowledgeable, intelligent and very easy to talk to. I am a Christian, love family, animals and community, and am mother to 5 children along with a son in law and daughter in law and one beautiful grandson. Joyfully I have served on many committees, boards and have taken on numerous roles in my church. "See the World through Your Camera's Lens"
Learn how to use light, visual design, composition, and color to produce more creative landscape imagery. Use expressive and artistic techniques in order to move beyond just what you see with your eyes and what you can create with the camera. What can you do to prepare for your next trip? What kind of equipment do you need for travel/landscape photography? These are just a few of the questions Kathy will help you answer as you prepare for your next big vacation. Kathy Norwood has been a professional photographer for the past 12 years and in that time has become a Certified Professional Photographer, received her Photographic Craftsman degree and is currently working on her Masters degree from PPA. Landscape and travel photography have always been a primary love of hers which dovetailed well into her wedding business. As Kathy and her husband Robert move closer to retirement, she has begun to move back to her primary love and focus on her travel photography. The stock photography market is not what it used to be. Yet, it is still possible to make make money licensing your images as stock. Join Kathy Adams Clark for this program to learn about the stock photography market, how to enter the market, ways to maximize income and what to expect when licensing stock images. Kathy Adams Clark has been a professional nature photographer since 1995. She runs the stock agency KAC Productions that represents the work of 15 different photographers. Kathy's photos have been published in hundreds of places including Family Fun, Nature's Best, New York Times, Birder's World and Range Rick. AAA Journey, Texas Parks and Wildlife and Texas Highways magazine have used Kathy's photos on their covers. Her photos have also appeared in a numerous books and calendars including the Barnes and Noble Ireland Countryside Calendar, the cover of the Arbor Foundation Rainforest Calendar and the Sierra Engagement Calendar. Kathy's photos of Houston were complied into a calendar offered in Costco in 2016. Her photos appear every week in the "Nature" column in the Houston Chronicle written by her husband, Gary Clark. Kathy and Gary have worked with notional publishing houses to produce 10 books that combine their photography and writing skills. Their latest books are Book of Texas Birds published by Texas A&M Press, is written by Kathy and uses her photography throughout. Kathy is Past President of the North American Nature Photography Association. She teaches photography and is a popular speaker at local and national events. She leads photo tours through Strabo Tours to countries including Costa Rica, Spain, Africa, Italy, Peru, Morocco and Bhutan. Are you wanting to use a drone in your business? Confused about which drone is best for your needs and what is absolutely necessary to use your drone commercially? This program is ideal for you. Topics to be Discussed… 1 What are some types of drones” 2 What is a FAA 107 Certificate and how do you get one? 3 What Apps will help you fly legally? 4 How do I get a waiver or permission to fly in certain areas? 5 Drone flying apps 6 What about insurance? This is so much more will be covered in this 90-120 minute program. SPEAKER BIO: Capt. Robert N Norwood has been a pilot with American Airlines for 30 years. He holds an ATP with type ratings on B-777, B-767, B-757, MD-11, and B-727. With over 36 years of aviation experience, Robert has successfully navigated the ins and outs of the FAA regulations and test taking. 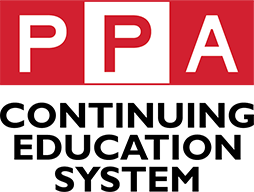 Robert has been a member of PPA since 2010 and with the advent of drone photography he realized that to use a drone in his business, that he would have to follow the guidelines that FAA required. Therefore, in 2016, Robert added his drone license to his FAA license and is beginning to incorporate the drone into his photography business. Robert recently passed PPA's Drone Certification requirements and test and is now a Certified Drone Pilot. He will also receive his Craftman's Degree on January 15th of 2018 in Nashville, Tennessee at Imaging USA. SPEAKER BIO: Malinda is a native Texan, born in Plainview, Texas. Fort Worth is her home and after many travels is where she and her family have returned and opened a successful commercial photography studio, Julien & Lambert Photographic Services in 2014. Her first paid photograph was when she was 8 years old with a Kodak BrownieTM camera her Grandfather bought for her. She received a quarter and the photograph of her Grandmother still hangs on her wall today. Alma maters, the University of Texas at Arlington and Texas Christian University, supported her real-life experience from a long history of photography. Julien & Lambert Photo is a family owned company with her husband, Jon Julien, the equipment guy and occasional drone pilot, her oldest son, Charles C Lambert, BFA, Fine Arts (Hardin Simmons University) who specializes in fashion, editorial and food and her youngest son, Jon R Lambert, BSA Architecture (Texas Tech University) who specializes in architectural, real estate and products. She is president of Fort Worth PPA, a member of TPPA and PPA. Avid educator and instructor she also runs Julien & Lambert Photo Education, a mentorship and coaching entity serving photographers of all educational and skill levels. Light painting, or light drawing, is a photographic technique in which exposures are made by moving a hand-held light source while taking a long exposure photograph, either to illuminate a subject or to shine a point of light directly at the camera, or by moving the camera itself during exposure. The technique is used for both scientific and artistic purposes, as well as in commercial photography. Light painting has long inspired photographers with the technique capturing a moving light source while taking a long exposure photograph which is difficult to perfect but can produce exciting results. Ron will talk about how he became interested in Lighting Painting, the tools necessary to accomplish this inventive technique, and how to process the images once they have been taken. After explaining the process, Ron will do a demonstration using still art so we can see the process from start to finish. SPEAKER'S BIO: Ron's primary business has been Team and Individual Photography at High school and middle schools with some emphasis on Senior Photography and Family portraits. After taking John Hartman's class on Light Painting two years ago, he has become fascinated with Painting with Light. We hope you enjoy this really unique process! Please say you'll be there. With fellow guild members and good cheer! Bring a side or dessert (brisket and nonalcoholic drinks provided) a comfy chair to sit by the lake, an alcoholic beverage if you wish and a $5-$10 White Elephant Gift. Don't forget to bring some extra cash too if you want to be in the raffle for the 1/2 scholarship to Texas School. Please RSVP to kathy@knorwoodportraiture to let us know if you are coming and if you are bringing a guest. This is the information about the party. Please feel free to share with with all our photographers friends that have been past members. Al Behnke - Sell It Like You Mean It! We all know that no matter how great your photography is, marketing is what gets clients into your studio. As the photographic industry gets more and more saturated with start-up studios, it’s important to set yourself apart from the pack. More than ever, adapting to the age of digital marketing has become a necessity for photographers. In this program, Al will discuss the main marketing strategies that Behnke Photographers uses to get clients into their studio. He will show you how the Behnkes use hands-on marketing campaigns and partnership marketing to engage with new clients and keep their studio in the public eye. In addition, and perhaps most importantly, he will discuss how the Behnkes use social media marketing as a tool to engage with prospective and current clients to keep them coming back year after year. Sometimes all it takes is a willingness to connect with people to succeed! SPEAKER BIO: Al Behnke holds PPA's Craftsman Degree and is a third-generation photographer specializing in weddings and events with Behnke Photographers in Frankfort, IL and Austin, TX. With a degree in Marketing and PR from Stetson University in DeLand, FL, he is also serves on the staff of PPA Charities and is the current chair of PPA's Online Content Committee. 'I have a background in Public Relations and as a working photographer, I have seen first-hand how difficult it can be for studios to not just get off the ground, but to keep an upward trajectory as the times change. My goal is to help studios, big and small, get more customers through the door and to keep those customers for a lifetime. Through press release writing, social media upkeep, blogging, event and promotional creation, and effective e-mail marketing, I aim to help studios succeed in the ever-changing world of digital photography. Our studio has been around for nearly 60 years thanks to our aggressive marketing and social media plans. Our ideas and execution are meant to keep your studio thriving for years to come! Wedding Photography is the most competitive market in photography. So many are working so hard, and making too little. With my approach, I think SIMPLE, I shoot SIMPLE and I sell SIMPLE. I book more weddings at a higher price than ever, and my clients love how few decisions they have to make. I'll show you how I do it. SPEAKER BIO: Earned M. Photog in January 2017 Gold Medal at IPC in 2015 Bronze Medal in 2016 Fightin' Texas Aggie Class of 1995 Daughters Chandler, 25 and Camryn 8 Son Connor, 10 Lives in Midlothian, TX Owned Ivey Photography since 2009 Primarily photographs weddings in Dallas/Fort Worth in Spring and Summer and concentrates on Santa in the Fall. Cristie will delve into the world of art. What is art and how we do we define it? Where do we find inspiration, whether for personal or competition art pieces? What are the key components to make composite images believable? Cristie break down several of her prints to show the different stages each artwork goes through from the initial idea to the finished piece. Speaker Bio: Cristie Reddehase is the owner of Silver Image Photography located in Spring, TX. Cristie has been an artist from a very young age. Among the many art classes, she took her first photography class in high school. After high school, Cristie attended Sam Houston State University where she received a Bachelor of Arts degree in Photography. In 2001, Melinda (Cristie’s sister) started Silver Image Photography. Cristie helped out on weekends until graduating in 2003 when she could join Melinda full time. The sisters ran the business together until 2015 when Melinda moved and Cristie took over the running of the business by herself. Today, Cristie concentrates on high-end seniors, beauty portraits, children, babies, families, and paintings. Cristie has received three additional degrees from Professional Photographers of America. These include the Photographic Craftsmen in 2012, Master of Photography in 2015 and Master Artist in 2017. Cristie started entering the International Print Competition in 2012 and has since been the recipient of several awards and honors. Some of these include the Imaging Excellence Award, 1st Place Grand Imaging Award in the Senior category, 2nd Place Grand Imaging Award in the Portrait category, 7 time PPA Photographer of the Year, she has 19 Loan Images, and she has been a Texas Top 10 recipient for several years among other district and state awards. She’s also one of only six people to earn Double Diamond and the first female. The Art or Prioritizing: Building Your Business While Living Your Life We all have different priorities in our lives, but the one thing we all have in common is wanting successful growing businesses that let us earn a comfortable living. After photographing and meeting with clients and being active in other activities, most do not have much time to dedicate to marketing and new client accrual. Since developing a model for marketing for her business, Savant Studios, new client accrual has skyrocketed, as well as the retainment level of existing clients. Using social networking, e-newsletters, blogging, and traditional marketing, Leslie will show you the tips for sandwich marketing and help give you ideas on where to find new business, that other photographers might not have yet invested marketing resources. Leslie Ann will focus on teaching you how she has not only balanced her life, but also how she has had keystone or better growth every year in business. By exploring many avenues of photography, Leslie has been able to sustain a stable business through recession, when many others closed their doors. Together, we will break down our loss of work time, loss of clients, and loss of personal reprieve with our families, leading to strategies to help you become healthier and happier. Come ready to brainstorm, inspire yourself and take back the tools to make your business even more successful. SPEAKER BIO: Leslie Ann Kitten, M. Cr., CPP began her career as a photographer in 2002, while in graduate school. She studied Architecture and Design at the bachelor’s level, while receiving a Master’s Degree in Communications and Design. Since then, she has focused on growing her business and now not only serves Lubbock and surrounding areas, but has traveled throughout the nation as well. She has also photographed presidential candidates, served as the photographer while working in the communications department on a New Jersey senator’s reelection campaign, and, most importantly, has photographed many wonderful West Texans. Leslie is an active member of many local organizations including Lubbock Lion’s Club, Young Professionals of Greater Lubbock, Junior Women’s Club of Lubbock, The Lubbock Chamber of Commerce, and other professional and philanthropic groups. She devotes a great amount of time to serving and giving back to her community. In the photographic community, Leslie currently serves on the Board of Directors for American Society of Photographers and is very active in PPA on many different levels. Kitten and her husband, Nick, has three children, Georgia June and Ethan and Clara. She strives to grow a successful business and teach her children how to be an integral part of the community as they grow up. “With dedication and hard work, you can have it all.” This dedication has earned her a sterling reputation in her community and the surrounding West Texas areas. photography, you can create the images that you see in your dreams. LEARN LIGHTING PRINCIPLES--Why does it do that? How can it work for me? supplying practical applications for their craft, business and life." Sit back and hold on! This is a very raw look into the sales process of your photography. Taking a different approach to sales using suggestive tactics and unique closing options to constantly close solid sales in our sales room. Don’t have a sales room? Not a problem. We will cover unique approaches to delivering good sales from any location. Ross’ recipe for business is as unique as his photography. Known for his weddings, his market rapidly expanded into the family and senior markets. His laid back approachable style creates a relaxed environment for his clients, which you will also find flowing over into the classroom. Many students have said his program are not only easy to follow, hut also chocked full of time saving, money making tips. Join us on May 8, 2017 for a Marketing Roundtable with Award Winning Professional Photographer Niki Gregg. Niki will be our moderator as we discuss all areas of marketing your business from online to social media, to direct mail and referrals. Learn from successful studios how they receive high rates of return out of every marketing dollar spent. Find out what works, what has failed and how you can create a marketing plan that will promote your studio to your target client and earn more money. We encourage everyone to participate by asking questions, talk about where they are struggling and succeeding with their marketing. The marketing roundtable will be centered around our survey, so take a moment and complete the marketing survey now. We look forward to having you join us at our Marketing Roundtable on May 8, 2017 at 6:30. Classic Family Portraits that Flow Easily from Pose to Pose! Belinda will share the basic techniques she learned early on from the great portrait Masters. That training enables her to capture timeless family portraits AND handle 'real life' family sessions with confidence. Mixing old +new school techniques with her 30+ years of experience has allowed her to develop her own style of timeless posing while keeping it fresh! Belinda has been photographing families and children since 1983. Her light-hearted, 'loves everybody' style enables her to create timeless images her clients cherish. Belinda's images have been displayed in PPA Loan Collections & Epcot, as well as being featured in PPA, Regional, and local magazines. She has received numerous awards including: Kodak Gallery Awards, PPGH Photographer of the Year, Best of Show, etc. She is most proud of a receiving a perfect print score of 100 from a PPA National Judging! Belinda is a Master of Photography, CPP and Photographic Craftsman. In this program, Kevin will discuss the different the type of head shots with a concentration on executive head shots, location vs. studio, camera equipment & settings as well as lighting for head shots. Also discussed are the client’s output options, advantages to shooting tethered and how to break into this area of photography. SPEAKER BIO: Kevin Falcon, CPP, is a husband, friend, educator, consultant & basenji owner. Serving the greater Houston area, he enjoys working with clients to provide strong, clean executive portraits as well as other commercial photography assignments. Locally, he is very active with the Professional Photographer's Guild of Houston (PPGH), a PPA affiliate, where he has served on the board since 2013. He is currently working towards his PPA Photographic Craftsman degree. 1. Learn 4 ways to control lighting off camera. 3. View pull back images showing how Alison uses reflectors, speed lights, strobes, and video light to create her style. SPEAKER BIO: Alison photographs weddings, portraits, and commercial assignments and teaches lighting off camera and modern posing around the world. As a former master-degreed teacher, Alison is able to relate to students both technically and personally. In her 13th year of business, she hosts multi and single day workshops at her Richmond, Tx studio and around the world. She is a member of PPA, SWPP, WPPI, PPGH, and TPPA. Alison achieve CPP status in early 2016 and will complete her PPA Craftsman degree in mid 2017. Teaching/Speaking Credits: WPPI Las Vegas, Master & Photo Walk classes 2012, 2015, 2016 The Societies of Wedding & Portrait Photographers (SWPP) London, 2hr & 4hr classes in 2013, 2014, 2015, and Jan 2016 PPA Super 1 Day workshops- one in Oct 2015, two in May 2016, one in Oct 2016 MARS (Mid Atlantic Regional School, PPA) Sept 2015 Professional Photographer’s Guild of Houston--2015, Sept 2016 Beginner and Advanced Lighting Workshops, July 15-16th, at her Richmond, Tx studio Ft Worth PPA Guild Jan 2016 Houston Camera Exchange, two workshops a year for the last 3 years in a row Graphistudio, Webinar Feb 2016 & at WPPI in their lounge in March 2016 2016 PPGH Board, Director At Large/Communications East Texas PP Guild—Sept 7, 2016 2016 PhotoGenesis opening night speaker, TPPA San Marcos Feb 4, 2017 PPGH Hands On Learning: Location Beaumont Feb 13, 2017—Brazos Valley PP Guild Feb 14, 2017—Waco PP Guild Italy—July 2017 full day workshops in Milan, Malta, and Florence Alison is sponsored by and a member of the speaker team for Miller’s Professional Imaging and PhotoFlashDrive. Creative and Profitable Sports Team Posters: How we do it, do's and don'ts! 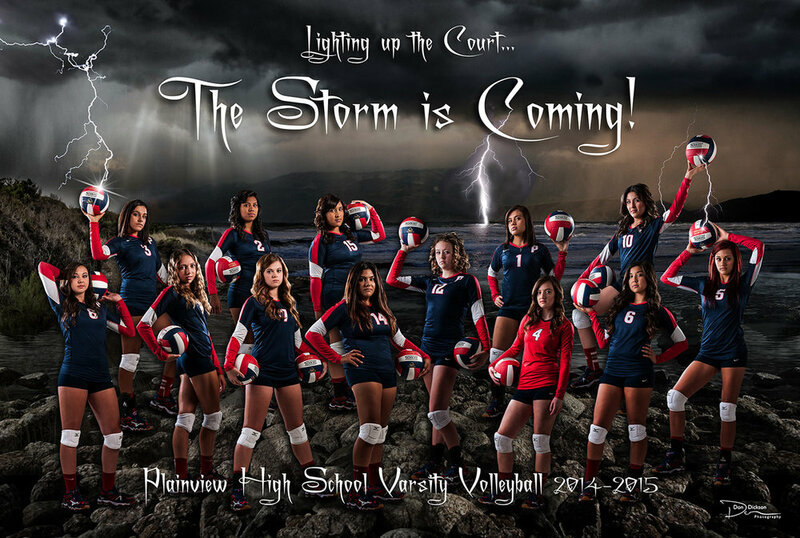 Chris Hanoch and Don Dickson Photography have become well known for not only their high quality and efficient team & individual sports pictures, but also for their sports team posters. In this program Chris will go through the process of booking, photographing, compositing and delivering unique sports posters and other products to teams in your area. You'll learn his approach to sales, incentives, do's and don'ts of compositing, amazing one-shot posters, and also how to expand other parts of your business using sports posters. SPEAKER BIO: Chris Hanoch has been involved in photography since high school back in 1991. He continued his learning and creativity through college, earning a Bachelor of Fine Arts Degree, working with various photographers in New Mexico, and finally ending up in Plainview, TX, working with Don Dickson. He has been at Don Dickson Photography since 2000 and is the primary senior and sports photographer, as well as handling all the production and orders on the back end. His creative eye and excitement has helped Don Dickson Photography flourish over the past 16 years in volume sports, seniors and unique sports posters. Chris has been a Certified Professional Photographer since 2011 and will receive his Master of Photography degree in January 2017 at Imaging USA in San Antonio.